At Carpet Cleaning Liverpool customer have access to professional carpet cleaning service which delivers industry standard results, minus the high cost. The service is available to both private and business customers, and can be requested as one off, or on a fixed schedule basis, depending on individual requirements. The carpet cleaning methods we apply are perfectly safe and suitable for all types of natural and synthetic fibre carpets, however carpeted areas where mechanical damage is present may not be suitable for cleaning. The cleaning systems we use will not damage or alter colours, dimensions or any properties of fibres, even when carpet is subjected to regular cleaning. Our cleaning systems are highly effective in lifting and removal of stubborn stains, both organic and non-organic. For optimal results, reduced cleaning time and efficient cleaning, we use the right tools for the job. This not only delivers great results, but also keeps high service costs at bay. Carpets cleaned using professional grade, industry approved steam cleaning equipment (we also do dry carpet cleaning in Liverpool; for more information refer to the dry carpet cleaning section of our website). Use of steam cleaning machines reduces the need to apply chemical cleaning products, only sparing amounts of mild cleaning solvents/shampoos in combination with the natural cleaning power of steam yield excellent results. We may need to pre-treat stubborn stains prior to steam cleaning in order to ensure complete lifting and removal, again this is done by application of small amounts of mild cleaning products. As expected we work with specially qualified cleaning technicians who have the necessary experience and technical expertise in professional carpet cleaning. Our steam carpet cleaning service in Liverpool involves use of certain amount of water, as steam condensates to water, this means carpets will be damp for a short period of time after cleaning is completed. The precise drying time of carpets will vary and usually depends on fibre thickness, ambient room temperature, and relative humidity inside the premises, generally though carpets should be dry enough to walk on in a couple of hours. The carpet cleaning service is available for residential and commercial properties, however customers need to consider cleaning and drying time and book the service for a suitable off peak time as to prevent disruption and ensure best possible results. The service is available as one off or on a regular basis, the frequency of cleaning visits will depend on individual requirements i.e. 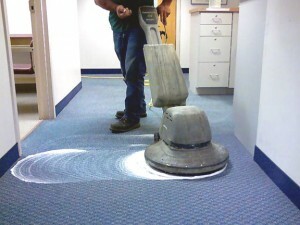 high traffic areas and commercial properties might require more frequent cleaning of carpets. 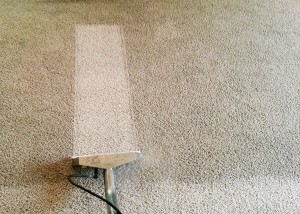 The carpet cleaning which we offer is a cost effective solution and won’t be a strain for your home or office budget. Customers will be quoted fairly and will receive good value for money. Speak to our consultants for further information on carpet cleaning. Visit our end of tenancy cleaning page too.